U.S. Sens. Ted Cruz (R-TX) and Patrick Leahy (D-VT) penned a joint letter to Apple CEO Tim Cook this week asking for clarification on the company's decision to remove certain virtual private network (VPN) apps from China's App Store, saying the move potentially enables the country's censorship and internet surveillance policies. Recalling a July report from The New York Times, Cruz and Leahy voice concern over Apple's removal of VPN apps marketed on the Chinese iOS App Store. "VPNs allow users to access the uncensored Internet in China and other countries that restrict Internet freedom," the letter reads. "If these reports are true, we are concerned that Apple may be enabling the Chinese government's censorship and surveillance of the Internet." Earlier this year, Apple pulled a number of VPN titles to comply with Chinese regulations. At first blush, the move appears to run counter to Apple's well cultivated image as protector of consumer privacy and proponent of free speech. The decision also impacts the App Store, a property which Apple has doggedly protected from outside intrusion, including meddling by government regulators. 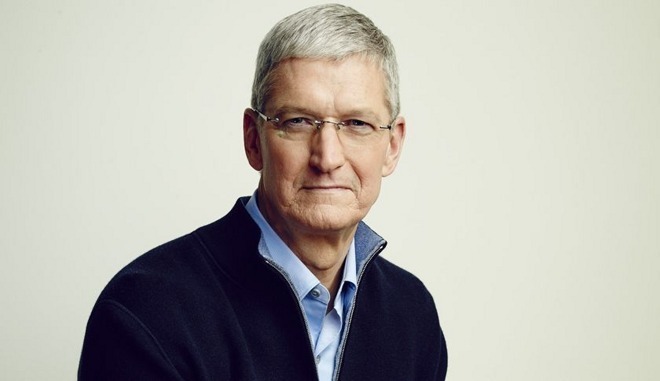 Cook has already responded to criticism surrounding Apple's decision. In August, he said the company was simply adhering to government stipulations that require operators of VPN apps and related services to obtain a license. A renewed effort to enforce these policies, which date back to 2015, prompted scrutiny and the ultimate culling of an unknown number of iOS apps. "We would obviously rather not remove the apps, but like we do in other countries we follow the law wherever we do business," Cook said at the time. "And we strongly believe that participating in markets and bringing benefits to customers is in the best interest of the folks there and in other countries as well. So we believe in engaging with governments even when we disagree." Whether Cruz and Leahy are aware of Cook's statement is unknown. Calling out Cook directly, the senators point to the executive's acceptance of this year's Newseum Free Expression Award. The letter cites Cook's acceptance speech as a counter to Apple's Chinese app decision, suggesting there is a disconnect between what the company says publicly and what it does privately. "First we defend, we work to defend these freedoms by enabling people around the world to speak up. And second, we do it by speaking up ourselves. Because companies can, and should have values," Cook said at the Newseum in Washington, D.C., in April. "At Apple we are not just enabling others to speak up, we are doing so ourselves." Apple's compliance with China's demands to remove the VPN apps in question runs counter to Apple's aspirations of being a bastion of free speech, Cruz and Leahy suggest. Further, the senators claim Apple showed a similar lack of fortitude when it shut down the iBooks Store and iTunes Movies last year, then pulled the NYT app from the Chinese App Store. Cruz and Leahy ask that Cook respond to a series of questions regarding Apple's stance on China Cybersecurity Law, and more specifically whether the company issued formal comments or raised concerns during a draft reading in 2015. Other questions relate specifically to China's involvement in the VPN app removal, as well as how many titles were impacted by the decision. Cook is also asked to supply copies of Apple statements that promote free speech in China or condemn censorship in the region, as alluded to in his Newseum acceptance speech.